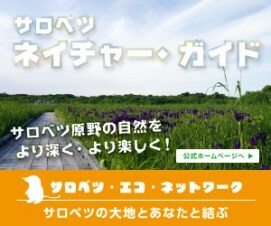 You can watch a kind of summer birds and migratory birds in Soya area. Soya area has plenty of nature, including Rishiri, Rebun and Sarobetsu National Park consisted of wetlands and lakes. Many kinds of birds assembled in this area during the breading season. Soya strait is the main stream of flyway between Japan and Russia. In supring and autumn, Ducks, Geese and Swans pass through and stop over this area. In late autumn and early spring, Stealler's Sea-eagles and White-tailed eagles pass through Cape Soya.Welcome to Soya for birding. It is available for download, please use it.